This film offering a purported peek into the life of Facebook CEO Mark Zuckerberg seems somehow like a fitting bedfellow for the public view we have allowed into our own lives by joining his network. 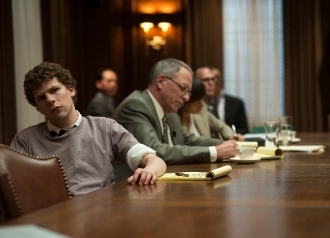 The Social Network boasts the odd assortment of talents David Fincher (Fight Club), Aaron Sorkin (The West Wing), Jesse Eisenberg (Michael Cera’s understudy and star of The Squid and the Whale) and Justin Timberlake (spokesman for Audi, Givenchy and various Sony electronic products). Brandon Scott Gorrell, author of during my nervous breakdown i want to have a biographer present, is a poet whose writing depicts the impact of the internet on our neuroses and whose work is at much at home in the digital sphere as on the printed page. He seemed a natural fit for this review.